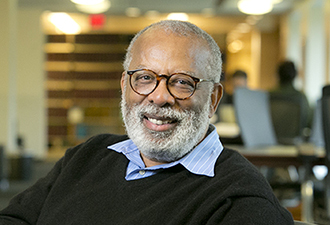 Jim Coleman is the John S. Bradway Professor of the Practice of Law, Director of the Center for Criminal Justice and Professional Responsibility, and Co-Director of the Wrongful Convictions Clinic at Duke Law School. He is a graduate of Columbia University (J.D. 1974), and Harvard University (A.B. 1970). A native of Charlotte, North Carolina, Jim’s experience includes a judicial clerkship for the U.S. District Court for the Eastern District of Michigan, a year in private practice in New York, and fifteen years in private practice in Washington, D.C., the last twelve as a partner at Wilmer, Cutler & Pickering. In private practice, Jim specialized in federal court and administrative litigation; he also represented criminal defendants in capital collateral proceedings, including Ted Bundy through Bundy’s execution in 1989. Jim has also had a range of government experience, including two years as an assistant general counsel for the Legal Services Corporation, a stint as chief counsel for the U.S. House of Representatives' Committee on Standards of Official Conduct, and a year as deputy general counsel for the U.S. Department of Education. Jim joined the Duke faculty full-time in 1996, where his teaching responsibilities include criminal law, wrongful convictions, and appellate litigation. His academic work, conducted through the Center for Criminal Justice and Professional Responsibility, centers on the legal, political, and scientific causes of wrongful convictions and how they can be prevented. His administrative work for the University has included chairing the Lacrosse ad hoc Review Committee in 2006, and chairing the Athletic Council (2010-present). Jim also periodically serves as a mediator and monitor in major employment discrimination cases. He is married to Doriane Lambelet Coleman and has three children, Jacqueline Coleman Snead, Alexander Coleman, and Nicolas Coleman.